Popantel Allwormer tablets for dogs is a highly-effective treatment that is used to treat and control gastrointestinal worms in dogs. 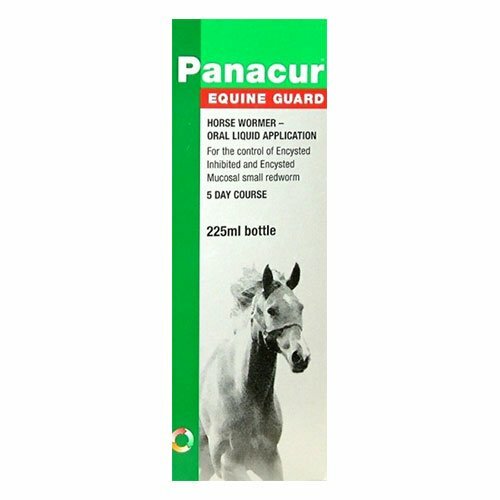 Popantel treatment will control and eliminate most types of worm, including roundworm, whipworm, tapeworm and hookworm. However, it should be noted that Popantel does not control heartworm. These worms are parasitic nematodes that live in the small intestine of dogs, and can lead to health complications and damage. Popantel Allwormer Tablets for Dogs is a tablet used to control gastrointestinal worms in dogs. This includes roundworm, hookworm, whipworm and tapeworm (including hydatid tapeworm). However, Popantel does not control heartworm. Popantel's active ingredient is Praziquantel, which has an anthelmintic effect against worms, and is the primary treatment used in veterinary medicine against tapeworms. For the best prices on Popantel, trust BudgetPetCare.com. Popantel Allwormer Tablets for dogs is used for the treatment of gastro-intestinal parasites, such as tapeworm, hookworm, roundworm and whipworm. 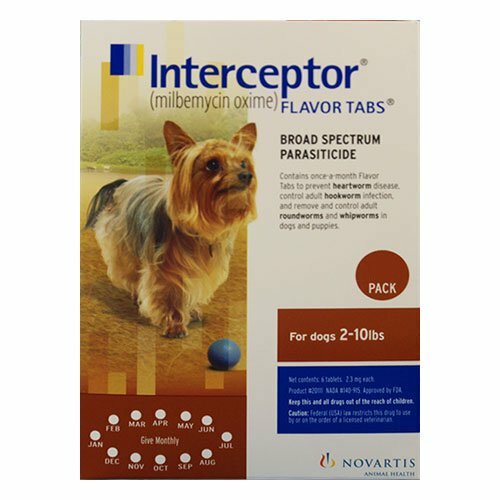 Providing effective relief against gastrointestinal worms, it has been specially formulated so that there is no bitter taste normally associated with the active ingredient, Praziquantel, making it easy to give to your dog. Regular treatment of Popantel will ensure that your dog is free of worms. 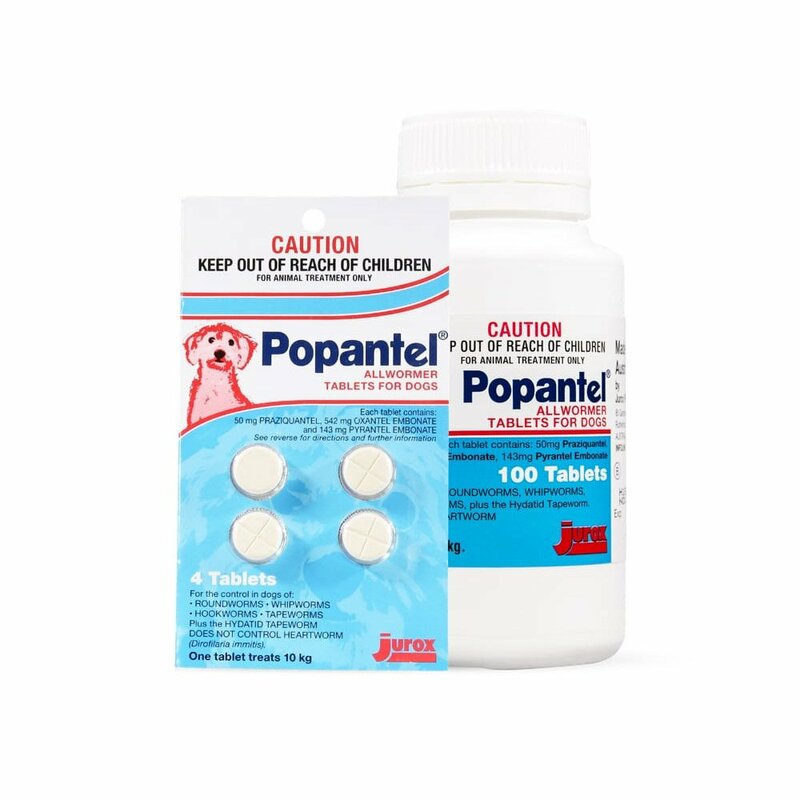 Popantel is suitable for pregnant or lactating dogs. For the best prices on Popantel for dogs, trust BudgetPetCare.com. Popantel for dogs is a highly effective treatment that provides protection against a range of internal gastro-intestinal parasites that are found in dogs. 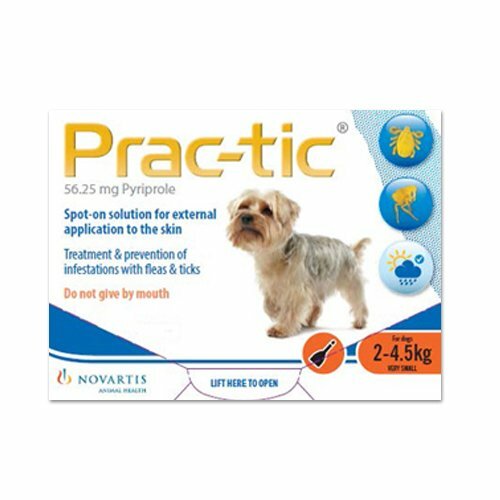 The tablets, which contain the active ingredient, Praziquantel, have been specially formulated to remove the bitter taske, making it easy to administer to your dog, especially when mixed with food. 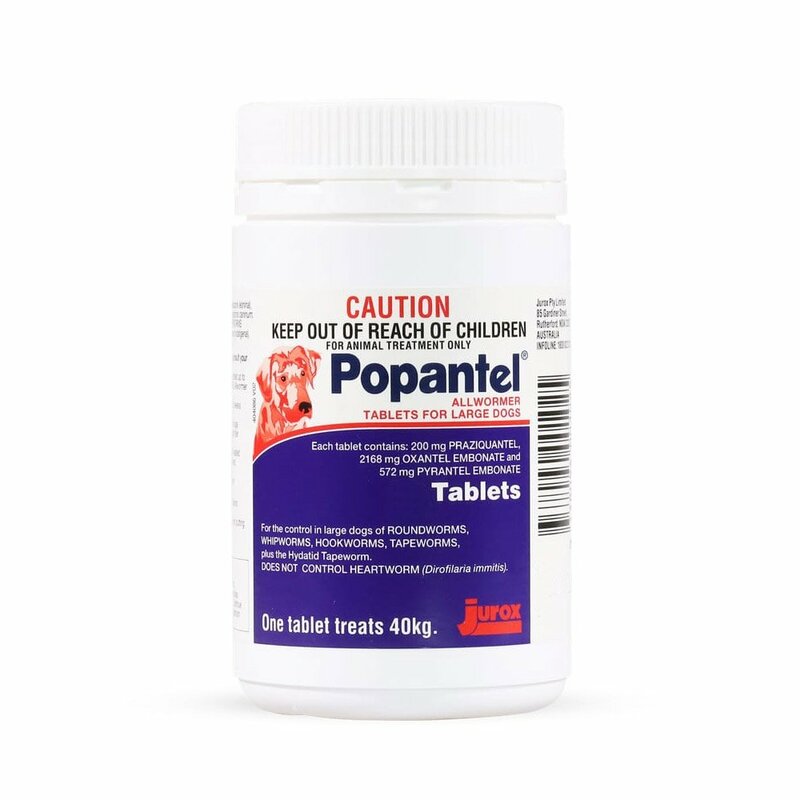 Popantel for dogs contains a broad-spectrum anthelmintic that is used to treat roundworm, hookworm, whipworm and tapeworms, providing optimal control of intestinal worms through a dose of a single tablet. Each Popantel worm treatment tablet is scored, making it easy to break for accurate dosages on smaller dogs. A single dose (one tablet) of Popantel tablets will treat dogs and puppies above two weeks of age and older. Place the Popantel tablet directly into your dog's mouth. Alternatively, hide the tablet in your dog's food, watching closely to ensure that your dog swallows the tablet. Popantel Allwormer Tablets can be administered at the same time as other treatments, e.g. 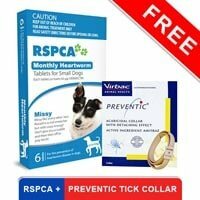 heartworm or flea treatments. Treat dogs at 2, 4, 8 & 12 weeks old, then every 3 months. Popantel is safe for use in puppies as young as 2 weeks, old animals, greyhounds, working dogs, pregnant females, breeding dogs. Popantel has a wide margin of safety for all sizes and breeds of dogs. I have ordered wormers and flea products in the past and have been satisfied with the results, so I am recommending this to everyone. 233 of 242 found this review helpful. I have been using your website for years. 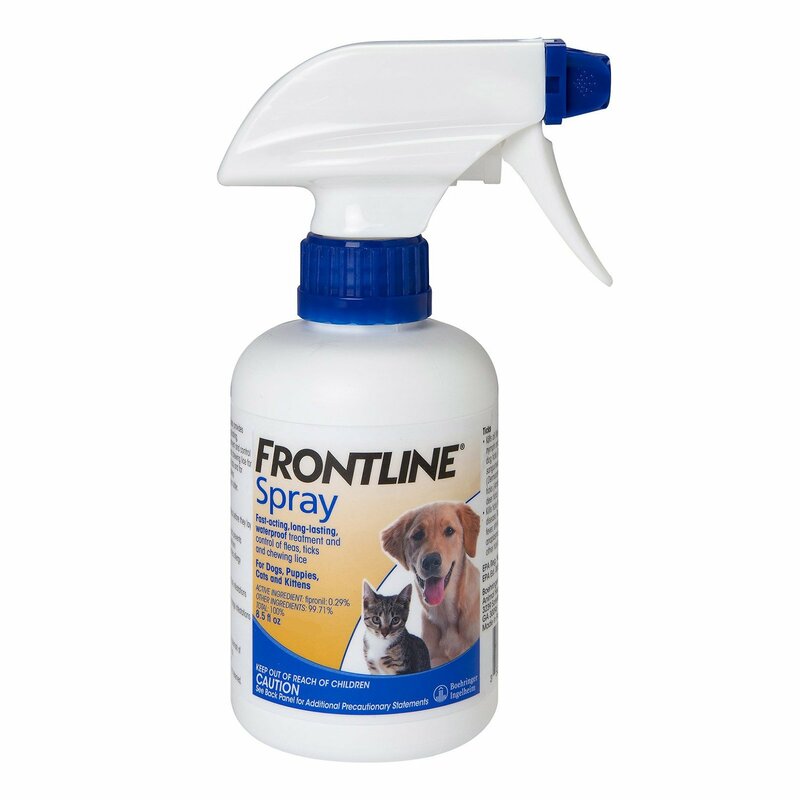 Very easy to use and have excellent results with the Advantage on our pets. Thanks! I had an amazing experience purchasing this deworming treatment for my pooch. The great part was that I got the product at a freaking low price. I am extremely happy to have saved extra bucks on the dog supplies budget. Will definitely try other products too from this terrific shopping destination!! 378 of 402 found this review helpful.